It’s tough as a parent when our kids choose to hang out with what we might refer to as “unsavory” characters. Whether it is the need to feel included or a desire to test the waters of independence, most kids are more likely than not to choose friends that are not necessarily a good influence on them at some point in their teen years. I’ll admit there have been times I’ve not wanted my kids to hang out with other “church kids” for fear that the behaviors I saw would influence my teen’s character. After all, research says that you become the average of the five people with whom you hang out. Oh my, what a scary thought! So how do we handle these situations? Do we lay down the law or move heaven and earth to keep them away from each other? And, of course, the answer depends on your particular situation. I’ve known parents who were in such dire situations with their kid that they chose to move the entire family in order to push the reset button hoping for a new start. By all means, if this is your circumstance, I would encourage you to seek wisdom and counsel from professionals as you move forward to save your teen. As you make this difficult decision, know that it will have a huge effect on all of you as a family. I would know. We made that decision at one point in our teen’s life. But what about the other times when fear creeps in? How do we interact with our child knowing he is not hanging out with kids who are embracing the same character qualities we want to see in our teen? Resist the urge to always say “no” even though everything in your brain is seeing danger. Our kids are wired to push back as they enter the tween and teen years. The last thing we want to do is set our relationship up to be antagonistic. Be welcoming. When your kid wants to “hang out” with the friend, create a warm inviting atmosphere in your own home where the kids can hang out. Encourage them to meet on “your turf” and provide opportunities for you to drop in on them. Not many kids can resist warm cookies or a mug of hot chocolate. This is your opportunity to share the love of Christ. 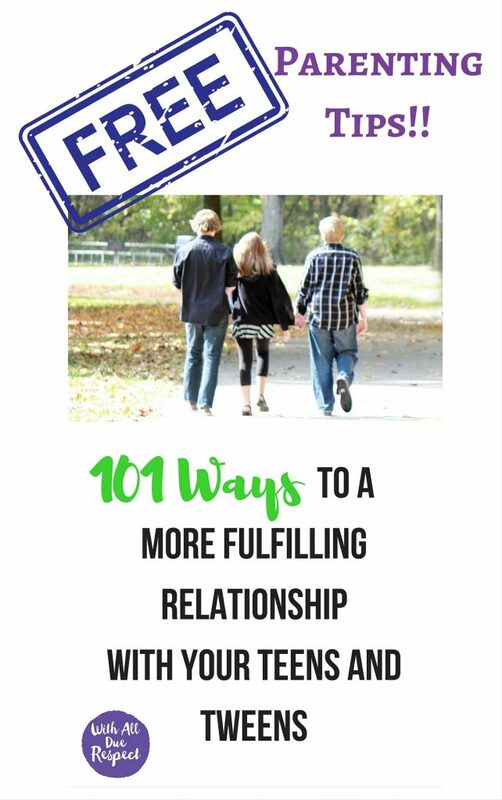 Have positive conversations with your teen about their friend. I know this seems difficult to do when you are so opposed to their choice, but hang with me here. Ask questions and listen. Why is this friendship so important to your child? What is it about this person that your teen really likes? Let your child see that you agree with their analysis of their friend wherever possible. Then, as situations randomly arise, continue to ask questions. What do you think (friend) would think/react in this situation? Share stories about your friendships and what you’ve learned over the years. Once you’ve created safety over time with your teen, begin to offer a comparison to their friend’s values versus your family values in a non-threatening way. Encourage your child to broaden their friendships to include kids with similar family values. One of my kids always liked to push the envelope by hanging with people who were directly opposite to our family’s value system. I’ve found myself squeezed to the point of learning to love like Jesus loved even though it didn’t come naturally and it took everything in my power to choose that path to have a relationship with my child. Sometimes as parents we need to be the role model for our kids to show them that Jesus hung out with sinners with purpose and intent. Because of my teen’s choices I’ve been forced to love people who have chosen transgender lifestyles, homosexuality, a life of theft, and drug addiction. These people have been in my home. Sometimes, by the grace of God, they’ve joined our family at church. We’ve been able to have spiritual discussions. Know that it was when I felt backed into a corner and knew that God wanted me to show love to my child by accepting her friends, that He began to weave a story that I had to release to Him. Kids need to be able to figure out on their own how to develop true, meaningful friendships. And it is much better if they can learn from us while they are under our roof where we can coach them through the process. Parenting out of fear in these situations can easily drive our kids toward the very people we so desperately want to shield them from. Dare you to encourage your kids to have healthy relationships that make them better people like Proverbs 27:17 friendship and engage with those of questionable character with purpose and intent of showing them the love of Christ. Double Dare you to enter the fight for your kid’s life choices in a way that deflates their defensiveness and woos them to good choices. Navigating our kids’ friendships can be a scary thing. Our actions as a mom in these fearful moments of parenting can build walls that are difficult to tear down. That’s why we’ve created our Deflating Defensiveness Training Retreat. Let us help you reinforce the relationship before the walls go up, or if you are already there, we can help you rebuild the relationship in a way that will help tear the walls down. 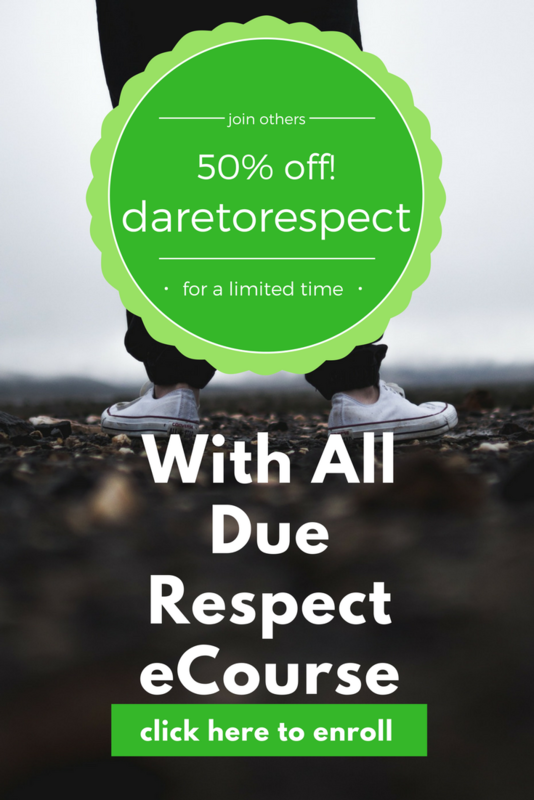 If you feel that you are losing your tween, teen, or 20-something, this course if for you! Conflict abounds as you parent and we can help you navigate it in a way that actually builds a stronger relationship. If this is you, we hope you will join us May 30-June 3, 2018 near Cincinnati, Ohio. Join other women who want to learn the skills to create stronger relationships with their kids, their husbands, and other people. Pricing includes: 4 nights in a private room in a beautiful retreat setting, 10 meals, and interactive training with professional trainers who love the Lord and what to help women grow in their relationship with God and others. Not only will you have opportunity to learn and practice new skills in an encouraging environment, but you’ll have an opportunity for private reflection as you develop an action plan to help you get started.